"This time the Griswolds are on a roll." 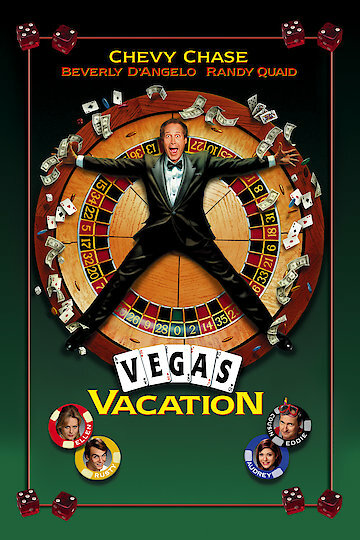 Vegas Vacation takes yet another trip with the Griswolds, the world’s luckiest or unluckiest family. Clark Griswold comes up with a great family vacation and as his luck would have it things quickly begin to fall apart. The premise of this move is a family vacation in Vegas; Clark becomes obsessed with gambling, his wife, Ellen feels alienated by Clark’s gambling, as do the two teenage children. That’s when the fun begins. Ellen turns to a famous entertainer to bury her sorrows. Meanwhile, Clark as lost everything including the plane tickets home. The family begins to grow apart while on a vacation that was supposed to bring them together. Things go awry for this wacky and fun family as they struggle to find their way back to one another. Vegas Vacation is currently available to watch free on Vudu Free and stream, download, buy on demand at Amazon, Vudu, Google Play, iTunes, YouTube VOD online.